Over the course of six years working in hospice, I helped countless patients and families tell their stories. I laughed and cried with them as they expressed their greatest life lessons, joys, sorrows and what they anticipated to be their legacy. 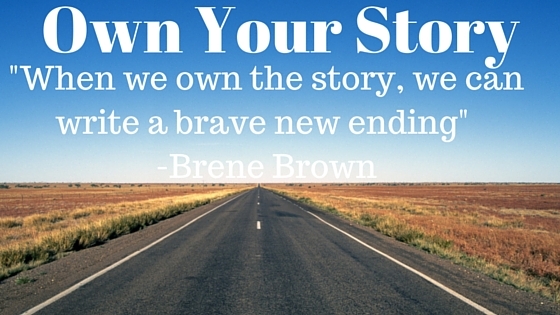 Now, as a homecare social worker, I continue to help people tell their stories. Clients tell me what circumstances led them to where they are in this very moment. They share their triumphs and their failures along with how they hope their story ends up. I work with them to make changes in their behaviors and ways of thinking to shape their future narrative to a place health of independence. It is amazing how, for years, I have placed so much value on listening to other people's stories and neglected to make meaning of my own story, my own personal narrative. If you had asked me, "what is your story" a few years ago I would have told you exactly what I thought you wanted to hear. I am a social worker, I fight for social justice, I am a hard worker, I am passionate about everything that I do and I am passionate about living the best life possible. Now, let's be real. I am really good at slapping on a smile and talking like I everything in my world is perfect. I am an expert at the "I will do whatever you need" regardless of my own needs, routine. Recently some of my colleagues commented on how they had no clue that I had struggled so much with self-confidence and body image until reading through my blog. Of course, they didn't know. I made it a point not to tell anyone. Instead, I faked it. They had no way of knowing how physically and emotionally exhausting it was to keep up with a persona that wasn't true to how I was feeling, or who I believed myself to be. I was depressed and disheartened and almost no one knew it. I spent a couple of evenings per week crying before I went to sleep because I felt lost and without purpose. But I was too afraid to let anyone in on that not so little secret. I had become numb to who I was and how derive meaning from my experiences and work, but figured if I could talk the talk to my clients and my colleagues, eventually I would walk the walk. One day at work, I told my closest friends that I thought I might be a bit depressed. They laughed and said that I might be least depressed person they had ever met. See how well I hid what was truly going on? Even to the few people who I considered my closest friends? I laughed it off, missing the opportunity to be real and honest, to disclose what was really going on behind my smile. I so wanted people to believe that everything was just so. I wanted people to believe that I was an expert. I wanted people to believe that I was the most compassionate, the most caring, the most available. I was acting out a persona so that people couldn't judge who I really was and how I was really feeling. I was afraid that appearing vulnerable would make people think lesser of me. I was afraid of not having the answer. I was covering up not knowing with busy work. I was feeling disconnected from the people who I cared about. I was feeling disconnected from my passion. I was completely disconnected from myself. 1. I took some serious time to tell myself my story. How did I get to where I am right now (both physically and mentally)? 2. I questioned the irrational parts of my story. Are all parts of this story true? Or, am I fabricating and inserting what I want to believe to be true to justify how I am feeling? For example, something that I chronically struggled with, "I have no friends." Was that absolutely, 100 percent true? No. Had some of my most valuable relationships changed and evolved into something new? Yes. Did I miss the meaning of those relationships? Yes. Had I created new, just as meaningful relationships with wonderful people in the meantime? Absolutely! Could I learn to accept that all relationships change over time and focus my energy on the people in my life that were invested in our relationship, rather than beating myself up for "not being good enough" for the others? Yes! 3. I validated and harnessed the truths that I discovered about myself through retelling my story. I wrote down these truths and they became my mantra in times of self-doubt. 4. I examined my passions and the motivation behind them. What drove my desire to enter my chosen field? What else was I passionate about? How could I put my passions into action? 5. I examined where I felt disconnected in my life. 6. I took action to repair these disconnections, or altogether let them go if the energy to repair them outweighed the benefit. 7. I examined where I felt connected in my life and committed to reflecting on the power and meaning of these connections. 8. Whenever the opportunity arose, I spoke my truth. When asked how I was feeling, I was honest. When asked if I could take on something new, I was honest. I pledged to be true to all the facets of myself and stopped putting on a charade of what I thought people wanted. 9. I let go of who I assumed people thought I should be. I let go of the fear of not being good enough. I let go of the notion that if I should be ashamed of struggling. I began believing that even on my worst day, I was enough. 10. I allowed myself accepted who I am, and how I felt, in each moment. 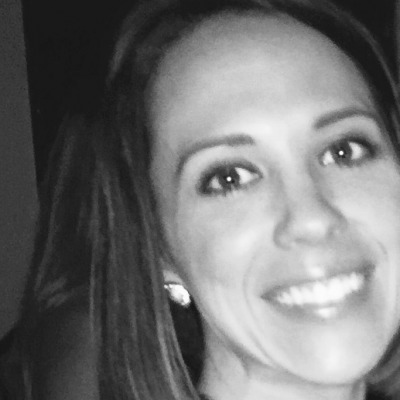 Sarah is a licensed clinical social worker and health coach. You can find out more about her and follow her blog at www.shestrivesforstrength.com. Licensed Clinical Social Worker and Health Coach. Founder of www.shestrivesforstrength.com.